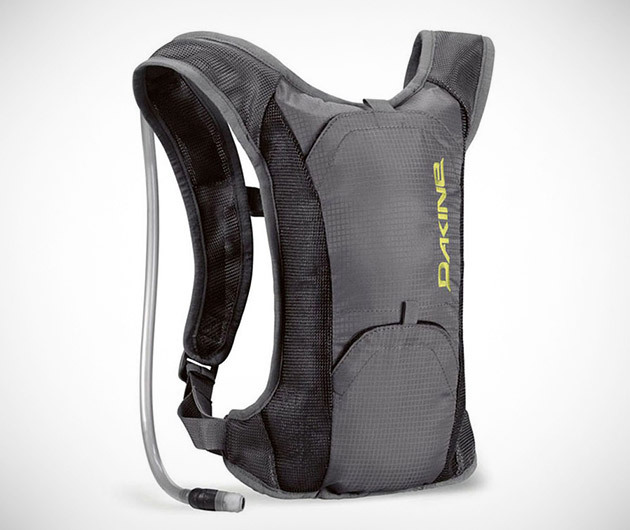 Quench your thirst on the go, and in style, with the Dakine Waterman Hydration Pack. The lightweight nylon mesh construction boasts ergonomic shoulder and waist straps, side panels and pockets. The reservoir is more than ample, with a 2 liter capacity and the valve is opened and closed with a simple bite of your teeth leaving your hands to do more important things like holding onto those handlebars. Or cliff face.